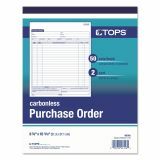 Consecutively numbered purchase orders and numbered lines help with record keeping. Keep a bound copy for a permanent record. 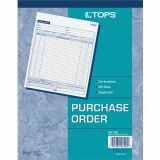 TOPS Purchase Order Book, 8 3/8 x 10 3/16, Two-Part Carbonless, 50 Sets/Book - Purchase order book offers ample space for listing up to 22 items and a carbonless two-part design. Duplicate format includes originals in white and duplicates in canary. 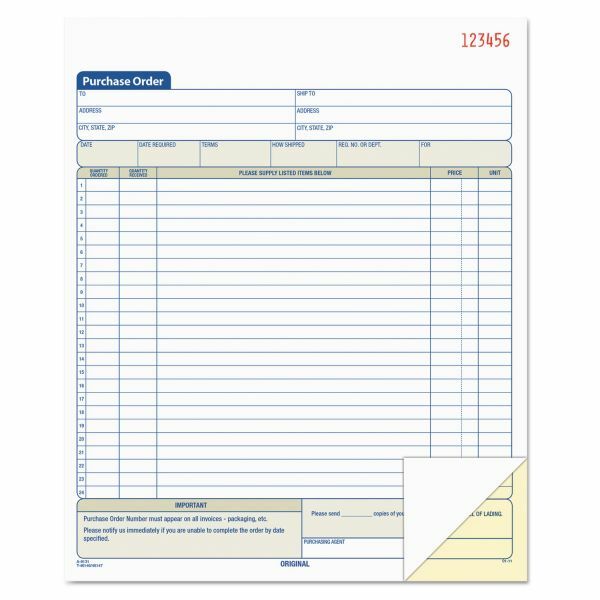 Each form offers spaces for recipient's name, address, shipping address, date, date required, shipping method, terms of shipment, and name of purchasing agent. 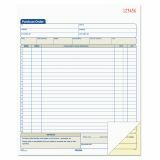 The list of 22 items allows you to list quantity, product description, price and unit. 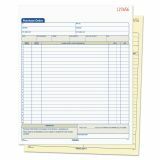 Wraparound back cover prevents write through." Detached form measures 8-3/8" x 10-3/16". Book contains 50 sets."